There are many possible causes of water leaks in a household. Some can be resolved on your own, and others need professional help. Whatever the severity of the issue may be, water leaks in your home should always be checked and resolved to prevent further damage. If you need help with water damage repair and cleanup in Toronto, there is a professional team that can help you. Here are some of the most common household water leaks, and where you can get fast and effective help. Water leaks and sudden bursts have led to 70% of all water heater failures. After 10 to 15 years of using a water heater, wear and tear can lead to failures, depending on the quality and size of the tank. If you think your water heater is causing a leak in your house, you can inspect the tank. It is wise to have a professional inspect your tank and conduct maintenance annually. On heavy and fast cycles, washing machines can jolt around and in some cases, the pipe connection can weaken and crack or leak. However, this type of water leakage can be fairly easy to fix in most cases. First, inspect to make sure the water on the floor is not caused by a clogged floor drain. Then, check the inlet connections, hose connections, center post gaskets, outer tub sea, air dome seal, and the pump. If you are not able to do the job on your own, call a professional. In most cases you can avoid overflowing your dishwasher by only putting enough detergent (not too much) in the dispenser. However, there may be other causes for this type of water leak such as a faulty float switch assembly, or a strainer that has been clogged with food and detergent debris. These switches are generally easy to replace and can be removed and washed in the sink with dish soap and a stiff bristle brush. If these are not the causes of your dishwasher leak, it may be an issue with a plumbing connection. To be safe, call a professional to inspect and resolve the situation. Refrigerators and freezers can produce a lot of excess moisture when they are working in warmer environments, or during the summer. Each time the door is opened, warm air enters and passes over the condenser coil which creates condensation. This condensation can pool at the bottom of your fridge or freezer. While most of these appliances have train lines to siphon off the excess fluid, some can become blocked with food, preventing them from draining properly. These drains can be cleaned with chlorine bleach to keep them unplugged. Excessive dripping from the air condition can cause significant damage, even though some moisture around the appliance is common. You can check the condensate pump, refrigerant, and drain line for leaks, and if you see moisture on the drywall you may have a problem. Some water damage sources are located outside the home. If your gutters are full of leaves, dirt, and debris from the last few seasons, water can get stuck and flow over the side, seeping into the foundation around your home. This can cause significant damage, such as floods in your basement, if you do not clean your gutters regularly. After a heavy storm, sump pumps can fail and lead to basement flooding. Once you’ve repaired your pump, schedule annual maintenance and checks to prevent future failures. Since they are connected to the air conditioning unit, moisture can build up in the ductwork and spring a leak. If condensation presents itself on the ducts or air registers, check for leaks in other areas as well. Professional water damage restoration companies can help resolve this situation and prevent it from happening again. Sinks and showers are one of the most common places for home water leaks, after washing machines. Any holes in these lines or worn-out caulking can cause major damage, so have these inspected annually. Toilets clog all the time and can be messy if they overflow. Although this is one of the most common water leaks in your house, toilet leaks can cause more damage when water seeps around the seals in the floor. If you see a puddle around the toilet, shut off the water and check the tank. If the damage is severe, call a plumber. 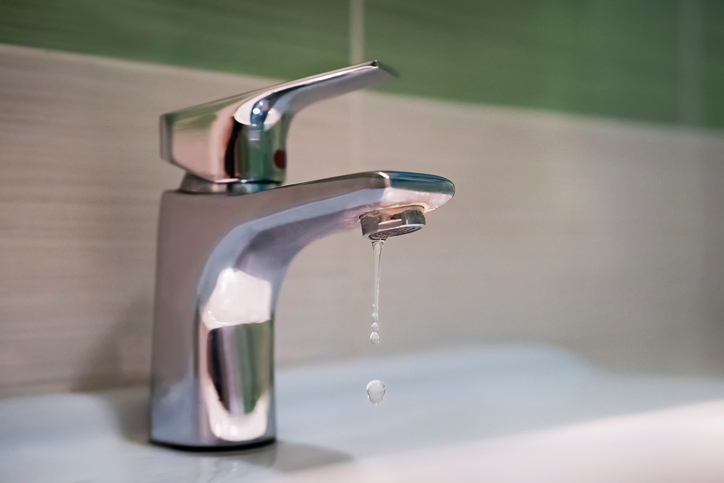 With a few exceptions, a leaking faucet does not generally cause a lot of damage. When it leaks, water drains down the sink and pools on the counter top. That being said, you should not ignore this leak. All home leaks should be taken seriously. The bathroom floor is bound to get wet, but if your shower or tub is leaking, mould can form and cause more damage to your subfloor. Depending on the severity, you may need to get your entire shower or tub remodelled. Pipe bursts are common, especially when the weather changes. Pipes can shrink and expand, causing pressure and wear and tear. Inspect your pipes thoroughly for drips or small holes, and have it repaired soon. As you can see, there are many possible causes of water leaks in a household. Even if it means calling the professionals, fixing the water damage is crucial to preventing more destruction to your home. Water is ruthless and will spread to damage additional areas if it isn’t stopped. If you need help for water damage cleanup in Toronto, Flood Services Canada can help you. Our professionals can save you from future damage to your home caused by damage you cannot see, and we can help you settle with your insurance company. We deploy our quick-response teams across Toronto, Oakville, Ajax, Whitby, Georgina, Barrie, Mississauga, and Lakeshore to help homeowners in a tough situation. We’re ready to provide 24/7 sewage, water damage, and flood cleanup services and will use the best techniques, personnel, and technology to ensure your home or business is clean, safe, and dry as soon as possible. Contact us at (416) 302-2107 to learn more about our water damage cleanup services, or use our emergency hotline at (416) 999-3930 to get our rapid-response teams deployed to your location.